An unidentified explosive device went off in his car. 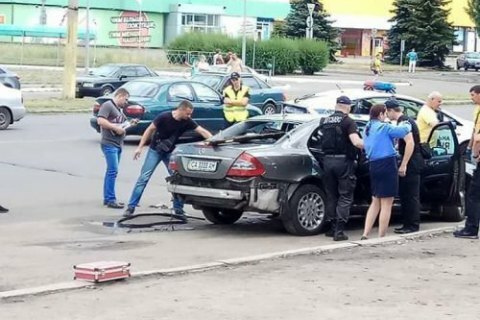 A Mercedes car with the driver inside it exploded in Cherkasy on the morning of 16 June, the regional police have said. According to the local news website, Pro Vse quoted its sources as saying that the driver was killed after an unidentified explosive device went off in his car. The victim is allegedly the director of the Cherkasy Transit shopping centre. Police later confirmed that the driver had succumbed to wounds.